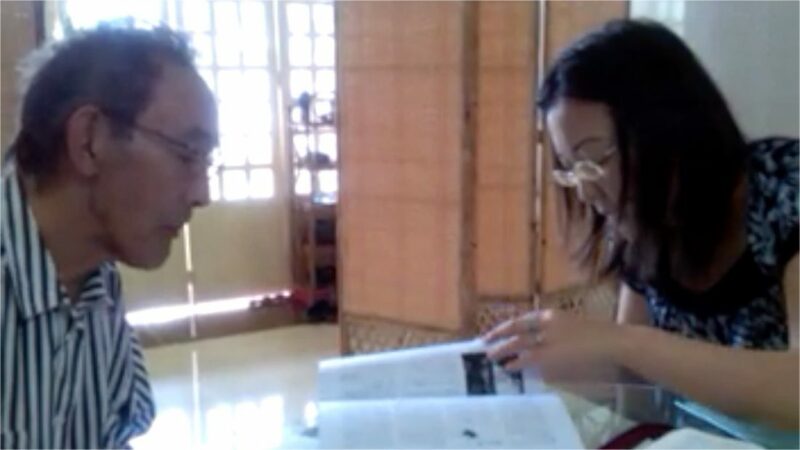 Kayo doing a “New Believer’s Course” with a 76 year old Japanese Man. Sometimes we Christians are so eager to teach what we think are the “deeper things” (meat or denominational distinctives etc. etc.) of God’s Word that we skip over the essential Christian foundations (milk) that are provide the basis for all other doctrines and spiritual development. For example, in the Japanese Life Group Ministry, Kayo and another Japanese missionary are doing a “New Believer’s Course” with a 76 year old Japanese man who was evangelized and baptized as a child by a missionary in Japan. He either wasn’t completely evangelized to the point that he could make a genuine commitment to Christ or he wasn’t sufficiently discipled so that he could live for Christ, because he admits that he hasn’t been living for Christ since being baptized as a child. I’m sure that the missionary wrote a glowing report about a fruitful ministry in Japan but the fruit never grew. We praise God for bringing this man back to Himself and giving him one more chance to really know Christ and live for Him during the last years of his life. Please pray for this man that he will come to truly know Christ as his personal savior and that he will be able to live for Christ in the final years of his life. If God is Good Why Do Evil and Pain Exist? If God is Love Why Do People Go To Hell? It is very important that these future pastors and Christian leaders are able to effectively teach and defend these (and other) foundational truths of Christianity so that they will be able to transform their culture to Christ, keep the next generation of Christians strong in the faith, and that they will not compromise their faith in the face of persecution. I believe that the reason that the Christian denominations are compromising their faith in front of political correct movements and that Christians are so vulnerable to attacks in the USA is because the Church has often failed to defend the truth of God’s word in a logical, persuasive, and winsome manner. (see http://www.theblaze.com/stories/2015/03/26/the-three-key-components-that-lead-atheists-and-agnostics-to-reject-gods-existence/ ) Our calling as Christians and missionaries is to help people gain or regain their confidence that God’s word is true so that they will be able to 1. maintain their faith in societies that are increasingly anti-Christian 2. confidently and effectively evangelize and disciple others around them. 3. confidently and effectively communicate God’s truth as they transform their culture. Please continue to pray for us and partner with us as God leads and empowers you. We look forward to seeing as many of our partners in the USA this summer. Feel free to e-mail us at darryl@sgwm.com. We always are happy to hear from you. We can’t believe that it is March already and we will be coming to the USA (California June 13-25 and Missouri June 25-July 13) this summer! We really hope to connect with as many people (as individuals, families, or groups) during this very precious time that we have. Please e-mail darryl@sgwm.com to help us updated contact information and to start the process of organizing our schedule. There is so much to do between now and then, but we trust that God will give us the time, energy. Christian Apologetics Class at CPTI. Apologetics Students prepare for their video presentations. 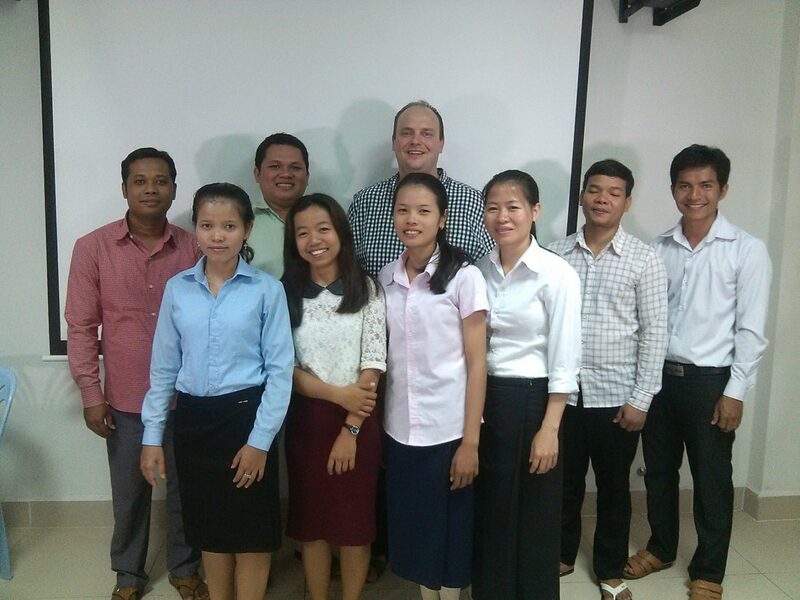 The Christian Apologetics Class at Cambodia Presbyterian Theological Institute ended on February 12. Instead of a standard exam the students prepared Christian Apologetics presentations, which Darryl video-recorded, produced, and posted at http://www.internationalfishers.com/cpti-2015.html and https://www.facebook.com/InternationalFishers/videos . This was Darryl’s first time to use his video camera, lights, and microphone for ministry videos. The students said they learned more because they had to prepare for the presentations. Darryl will also be teaching an intensive 30 hour class at the Cambodia Bible Institute between March 10-20. Lord willing, he will be able to video these students’ presentations as well. Please continue to pray for our family’s health and strength. It is starting into the hot season and our ministries, (International Fishers, Kayo’s Worship Team, Japanese Life Group,) and Benjamin’s school all need special prayer cover. Please pray for our upcoming time in the USA. It is very important that we deepen our roots there so that we can continue God’s work in Cambodia.